Hours after last night's game against Hapoel Haifa, member of J'lem team stabbed at entrance to his house in Ashdod. Investigation underway. It was cleared for publication that Beitar Jerusalem soccer player Or Inbrum was stabbed Tuesday morning. 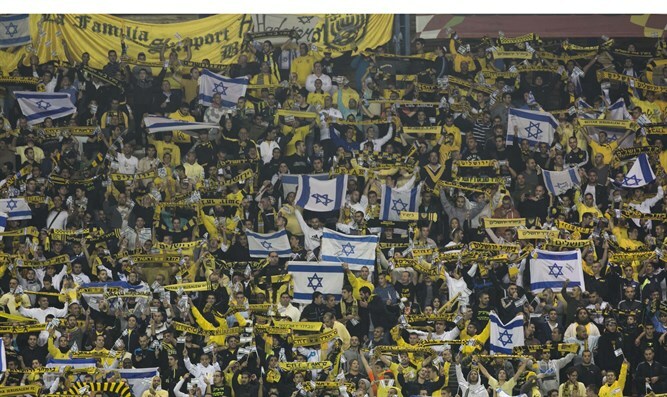 Inbrum, who plays for the Beitar Jerusalem soccer club, was apparently stabbed at the entrance to his home in Ashdod. He was stabbed in the lower body and moderately wounded. MDA spokesman Zaki Heller said that "At 6:18 am a call was received at the MDA Lachish Center for a stabbing incident on Ibn Ezra Street in Ashdod. MDA units dispatched to the site gave medical treatment to a man of about 24 and evacuated him, as he was in moderate condition with stabbings on his lower body, to the trauma room in the Assuta hospital in Ashdod." It is as yet unclear if there were other players involved in the incident, or if there is a direct connection between the incident and the sport. Last night, Inbrum managed to participate in his team's game when he entered as a substitute in the game against Hapoel Haifa which closed the 16th round in the Premier League and took place in Teddy Stadium, ending with a 1: 1 draw. Beitar Jerusalem responded to the incident by saying, "First of all, we are relieved to know that Or's condition is good and it is a superficial injury. We wish the player a healthy return to routine as soon as possible." "As for the case itself, the matter is under police investigation, so we have nothing to elaborate on at the moment and we are not going to respond to speculations and interpretations of this or that kind."